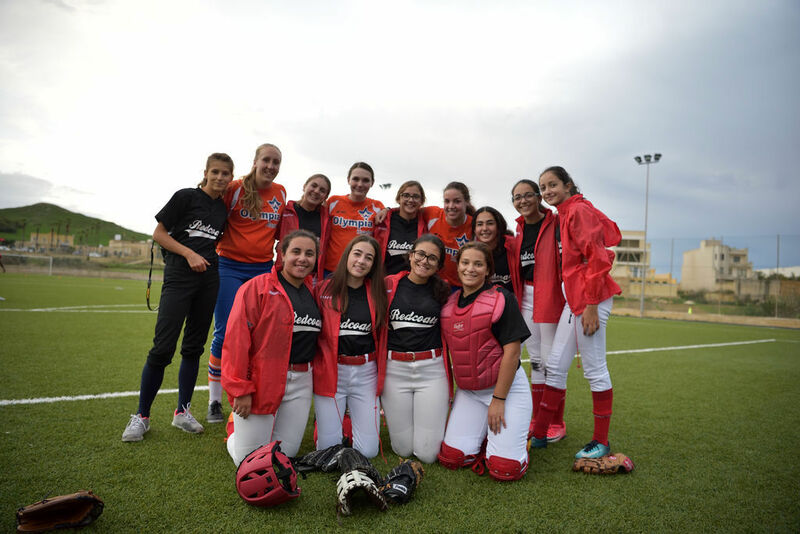 The first and only Erasmus+ Sports: Small Collaborative Partnerships project in Malta came to an end with the Gozo Cup 2018 Fastpitch Softball International Tournament. 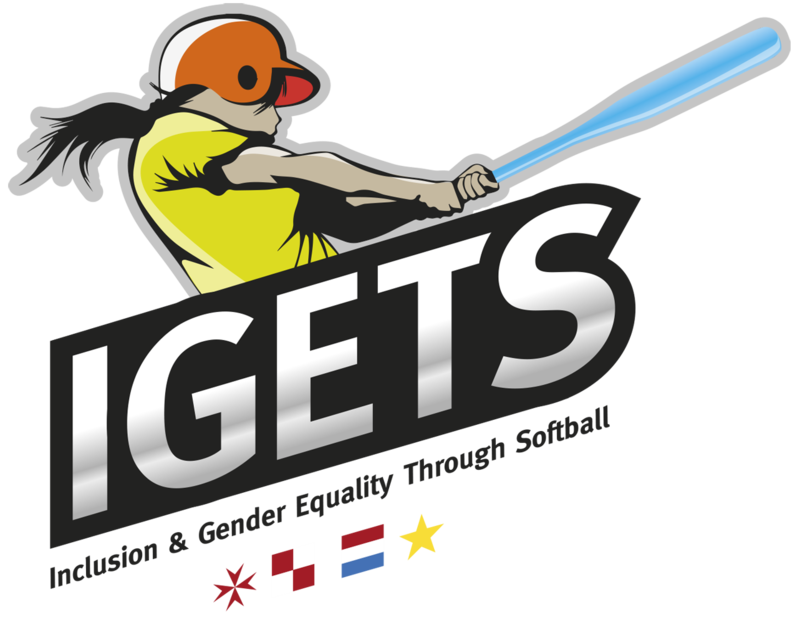 The three partners in the Inclusion and Gender Equality Through Softball (IGETS) initiative, Olympia Haarlem (NED), SK Princ Zagreb (CRO) and Għajnsielem Redcoats wanted to conclude their two-year project with something special for a greater impact in achieving the various objectives of the project, and in order to disseminate the findings and outcomes. A high level tournament was organised in Gozo this November, with the participation of some of the best senior players of the three clubs, each reigning national champions of their respective country. 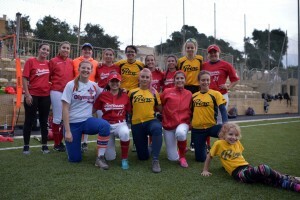 The presence of Eva Voortman along with the other stars from the two-time Dutch Golden League champions, Olympia Haarlem, Maranca Ham, Rosanne de Vries, Rachel Van Veen and Brenda Beers, ensured that the two games of the Gozo Cup 2018 were the highest level softball games ever played in Malta. The five SK Princ Zagreb players who travelled to Gozo for the tournament, all of whom play for the Croatian national team, Petra Čizmić Pokrajac, Katarina Prskalo, Ema Ziger, Mara Sliško, and Rita Despot, added to the level of the two teams who faced each other. As did Nicole Thomas, a graduate of the University of North Carolina Greensboro, with four years’ experience playing for the UNCG Spartans softball team, who was appointed to provide technical assistance for IGETS. The Ghajnsielem Redcoats participated with their senior softball players, all of whom are between 14 and 17 years old. The 26 players were drafted into two balanced teams named REDCOATS-OLYMPIA-PRINC and MLT-CRO-NED. Team REDCOATS-OLYMPIA-PRINC led by Eva Voortman won the first game 10-4, but team MLT-CRO-NED led by Nicole Thomas, came back in Game 2 also winning 10-4 so that the two teams got to share the Gozo Cup! This was not a bad outcome given the objectives of the tournament. It is also understandable that there was total joy on the field at the end, as both sets of players were really proud of what they managed to achieve over the two games. The young Redcoats surprised themselves and everyone else with their individual performances. Playing with some of the best softball players in Europe made the Gozo Cup a thoroughly enjoyable and memorable experience for them. Performing as well as they did, was the icing on the cake. There was also plenty of joy among the international players who were flown in to Gozo to make this happen. They were proud to have been a part of this wonderful experience. Their presence made a tremendous impact on the local players. With their contribution they helped the game of softball to grow in Malta. The objectives of this 4th and final transnational meeting of IGETS included further capacity building, sharing of best practices, empowerment of the young local softball players, increasing awareness about gender imbalances in sports, as well as the dissemination of the findings and outcomes of the two-year-long project with stakeholders and policy makers. 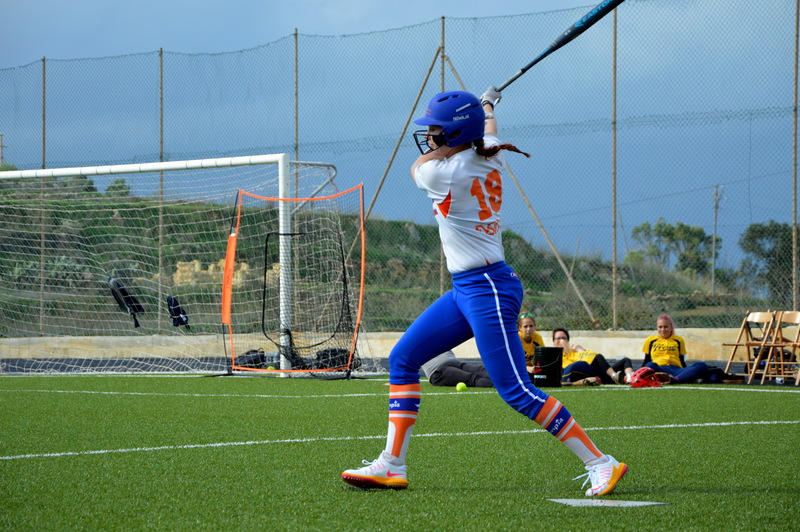 The Gozo Cup 2018 Fastpitch Softball International Tournament managed to achieve all of the objectives above and more. Playing with such quality players increased the level of self-confidence of the local players, and made them more motivated to continue to work hard to improve. They also learned from the experience and are better players as a result. The event gave an opportunity to the project co-ordinators to continue to increase the awareness about gender imbalances in sports, while the spectacular finish to IGETS provided a platform from which the results and outcomes of the project could be announced. The partners in the Erasmus+ Sports project were keen to create a long lasting legacy. The Gozo Cup will be part of this legacy as there are already plans for the 2nd edition for autumn 2019. However, the greatest legacy of the project will certainly be the young Redcoats softball players who have been transformed over the past two years. They contributed to the success of the project and in return they gained tremendously from it. They have become better, more confident softball players. IGETS empowered them and now they have become role models for younger female athletes who aspire to emulate their achievements. At the outset, the objectives set out by the three partners for their Erasmus+ Sports project IGETS seemed very ambitious and challenging. Through two years of hard work and co-operation, the partnership succeeded in bringing this project to its successful conclusion. The passion for the game within the three clubs, along with their organisational and administrative capacity, saw this project through, achieving the multiple aims set out. In turn, each club benefited considerably from IGETS. Now it is the hope of the project co-ordinators that other sports organisations would take up the challenge and explore the possibilities of tapping Erasmus+ Sports funding opportunities to finance their projects. The Small Collaborative Partnerships funding strand allows partners great flexibility in the design of the project with the opportunity for each partner to gain in various ways. Such projects also have the benefit of raising the profile of the game and of the club within the community. Female sports organisations are keen to give more exposure to their athletes who are increasingly adopting a more professional approach to achieve the elite status and compete with the best in the world. With the limited resources available such exposure will be difficult to achieve in the short term. European Union funding programmes such as Erasmus+ Sports, could provide the financing necessary to implement projects which would give female sports the push it needs to grow and move from a participation sport to a spectator sport. Through IGETS the Għajnsielem Redcoats have demonstrated that this can be done. Others should follow.